It’s all about presentation. Ideas and concepts are great, but mean nothing if they cannot be properly communicated. 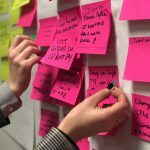 To help others understand them, we may create prototypes or sketch out an idea to get to a meeting of the minds. 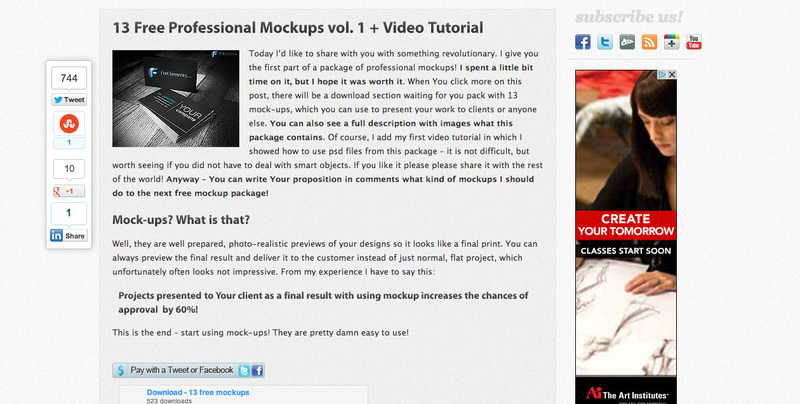 Fortunately, in graphic design, we do that by creating mock-ups. Most times when we create designs, it’s tempting to send a flat graphic, as is, to our client or out to our intended audience. 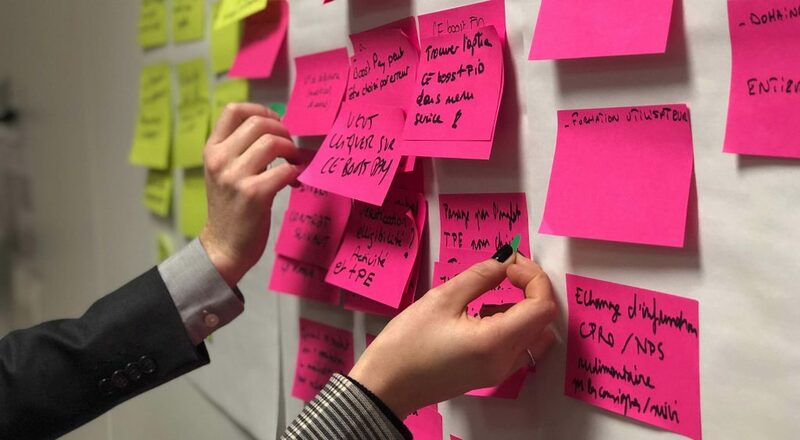 It can work, but it’s much more effective when we have a way for people to actually visualize a design in its intended environment. 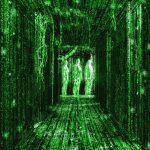 It’s easier to understand a mobile app when it’s being presented on an actual mobile phone, rather than just a standard graphic in a simple size. It’s best to have some photo-realistic mock-ups, but if you have vectors, that will work as well. 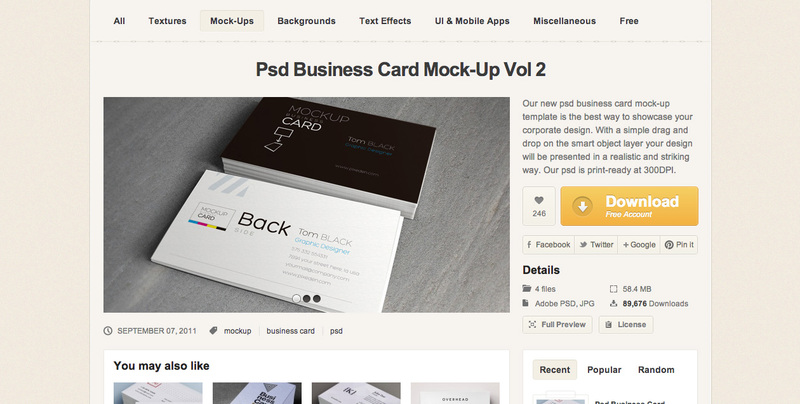 Today, we’ve put together a bunch of PSD’s and actions for great, professional mock-ups. 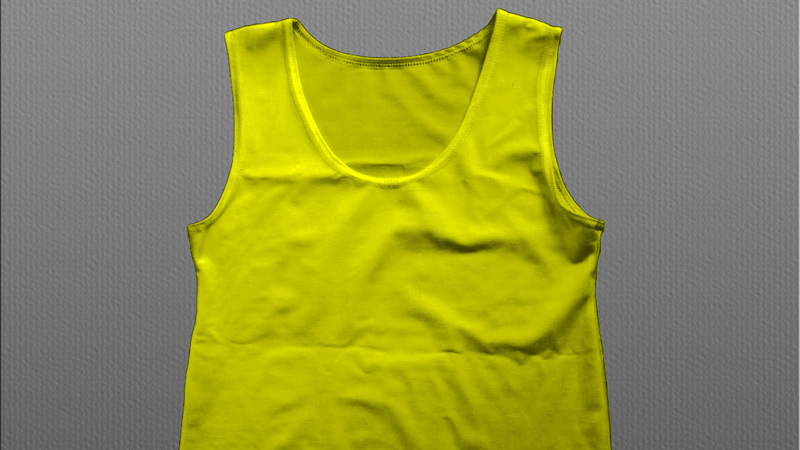 It includes anything from corporate branding to shirts and more. 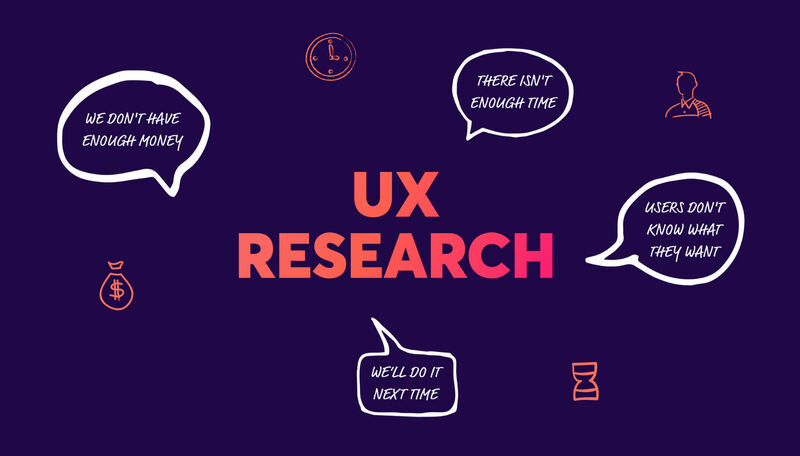 We hope you find something useful and great to use for your next project. 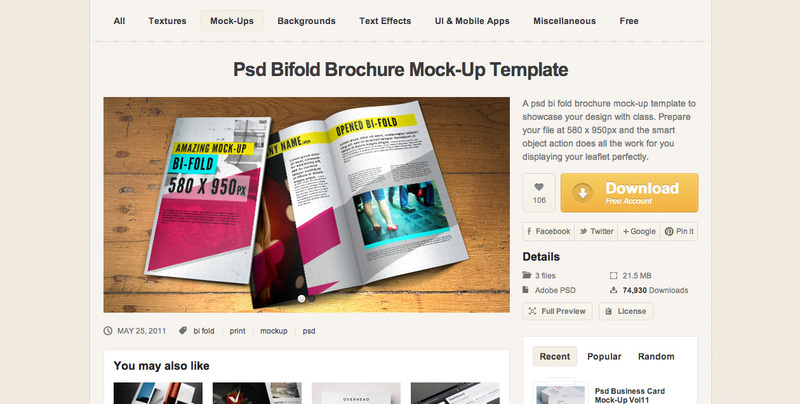 Perhaps you want to show off a web design, application design or even just a desktop background. Whatever it may be, this is a great mock-up that’s fully scalable and can fit any project. You’ll find a ton of iPhone mock-ups all over the Internet. However, this new Blackberry Z10 doesn’t get nearly as much love as the iPhone. 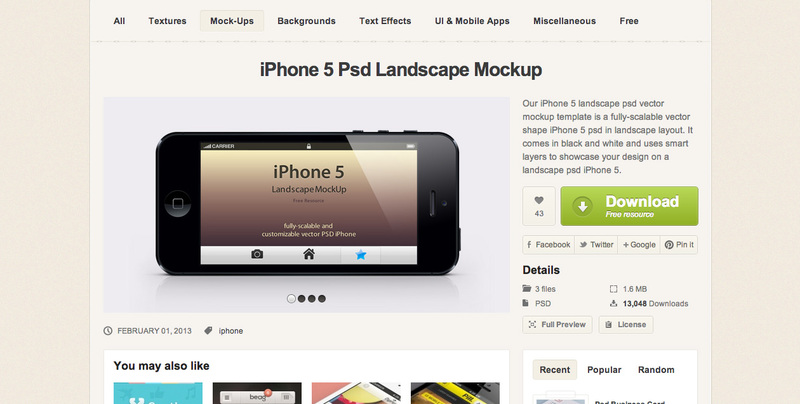 Fortunately, we’ve found this mock-up to help you show off your app designs and such. 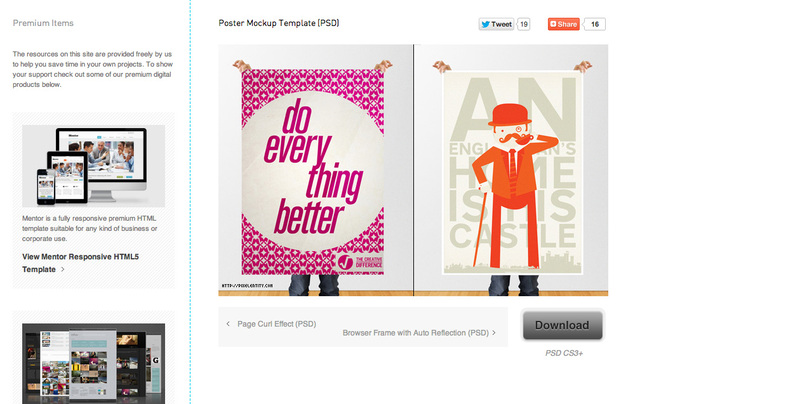 What I really like about this set of mock-ups is the flat color design they’ve used. It gives off an illustrated/vector that’s not only great for mock-ups but for design elements throughout a design. I’m not a huge fan of Safari as a browser, but below, you’re able to download a PSD that you can use with your web designs. 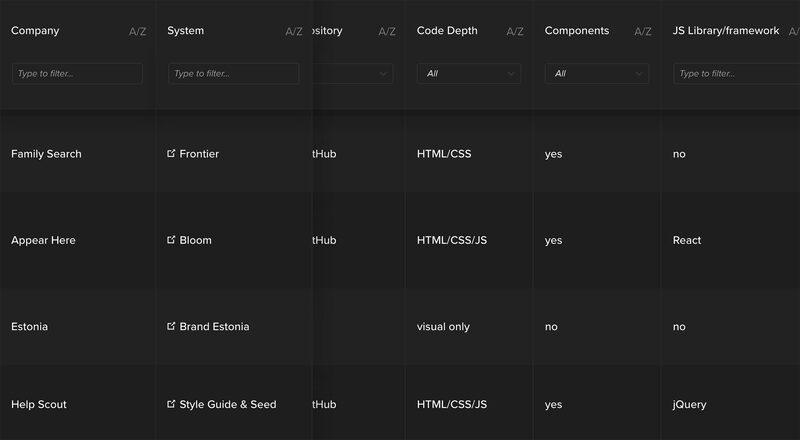 It will help your viewers and clients see and understand what your web designs look like in their rightful environment. The new general iPod Touch is now available for presentations with this mock-up. Great for featuring new music apps and how they’ll work in their new environment. This iPhone 5 PSD is made using smart layers and is fully scalable. Also, the iPhone comes in black or white. This is great for when you want to show how different mobile apps work or how responsive sites are seen on an iPhone. Again, iPhones are all the rage. This Windows phone is great for those of us who work on different interfaces and need to present our work in such an environment. Considered the second most popular phone in the world, it’s probably a great idea to get this PSD in your stash. This white Galaxy PSD is all vector work, so it can be scaled for high resolution work. 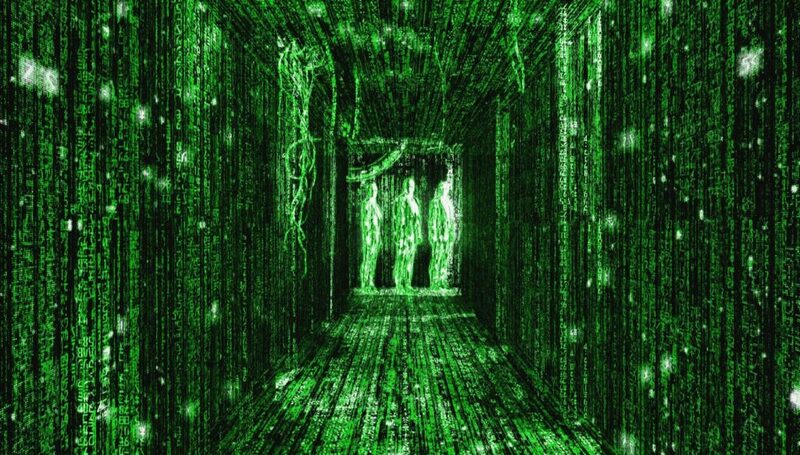 Sometimes, it’s not just enough to put our web design in side of a browser window. It’s very common for designers to create mock-ups using the actual device, whether it be a laptop or desktop. This time we have the new MacBook Pro. It’s not evident what exact version of the iPad this is, but it shows it can be extremely versatile. Again, this is a vectored image that is fully scalable to fit in any of your designs. 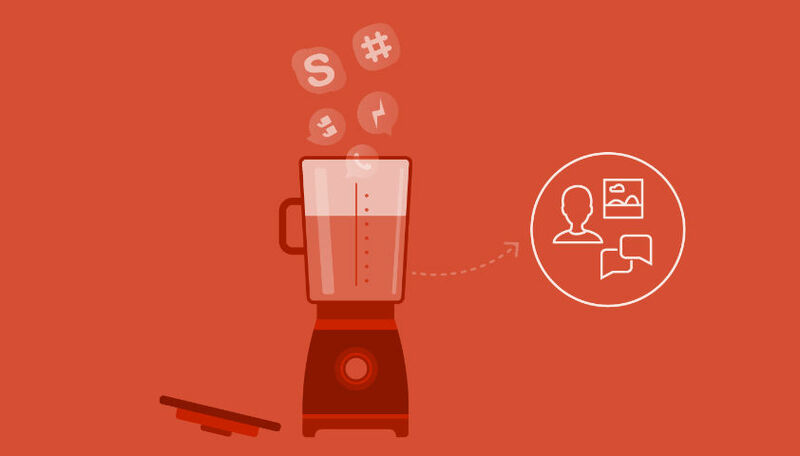 It’s great to give another, interesting angle for your responsive designs and apps. 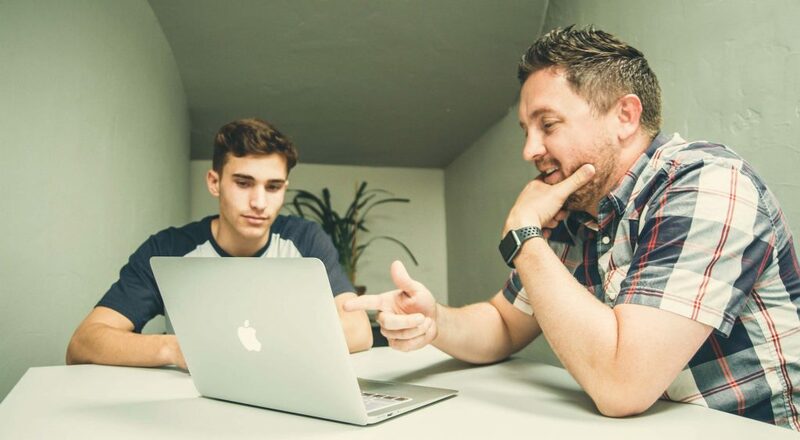 Of major importance in responsive design, is to make sure you know and understand how your design is going to look in all browser sizes. 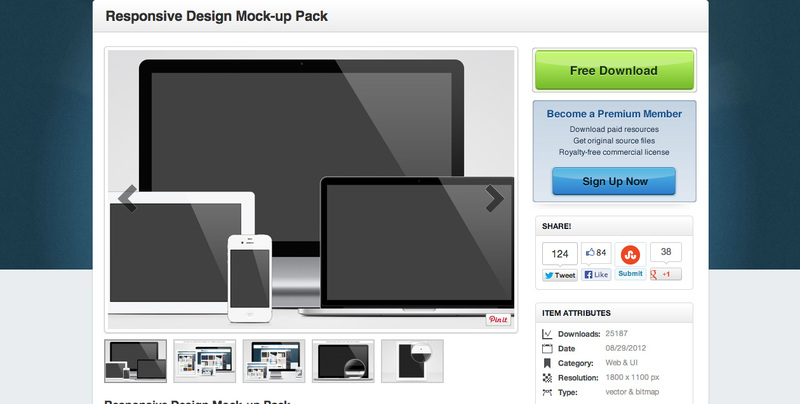 This mock-up pack is great for putting all that together and helping visualize it. As my favorite browser, this is a go-to of mine for when I want to present web designs to clients. 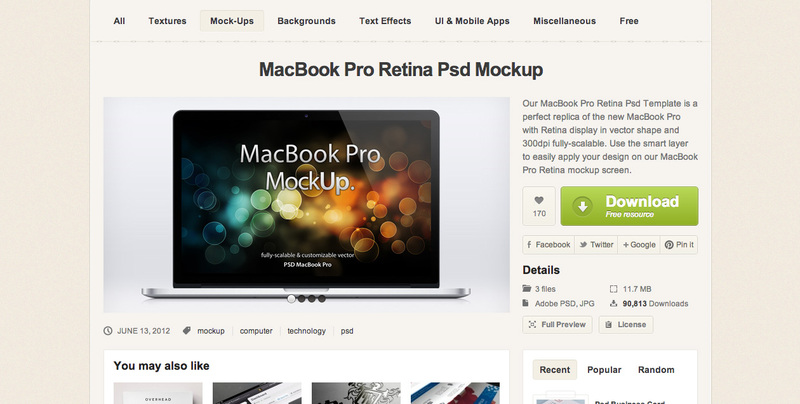 It’s fully editable, scalable and all around wonderful for web designs. We’ll get started with a pretty simple magazine or book front cover. It’s high-quality and great for print and easily editable with smart objects. 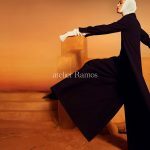 This is great for presenting covers with a fun bit of perspective, rather than just straight on. This is a fairly simple action that transforms your one-dimension graphic into a tri-fold brochure. This is great for adding that depth to letters or brochures. 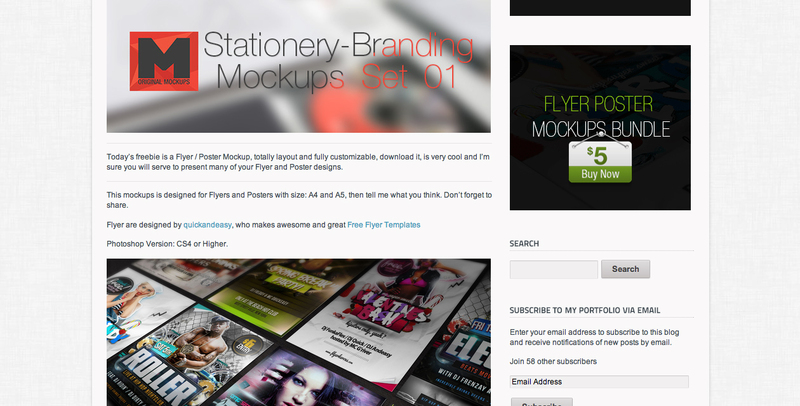 If your flyers an posters are A4 or A5 sized, this may be the mock-up for you. You’ll be able to present your flyers with a bit of pizzazz to your clients. Create any shape business card with this Photoshop action. Not only do you get a neat car shape, you get a great angle and presentation as well. This is one of the most sought out mock-ups ever. Lots of people like to use these for e-books and physical books, rather than just looking at a one-dimensional presentation of a cover. 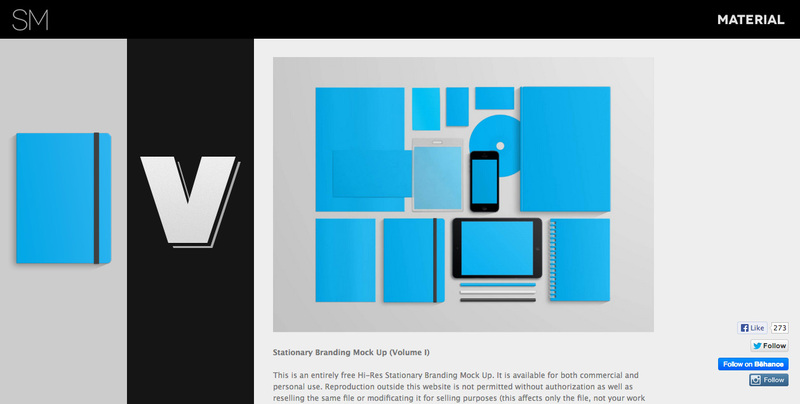 Creating a corporate identity pack is probably something you’re familiar with. This pack features many different elements, including a brochure, letterhead, business cards and more to help present your ideas for an identity package. I like this mock-up because it’s a standard magazine size to help you show off advertisements, editorial design and more to your clients. This is a must-have for print designers. Sometimes, it can be really hard to present a logo. It can end up being really plain and boring. This Photoshop action has created a way to add a little bit of excitement to our otherwise mundane logo designs. 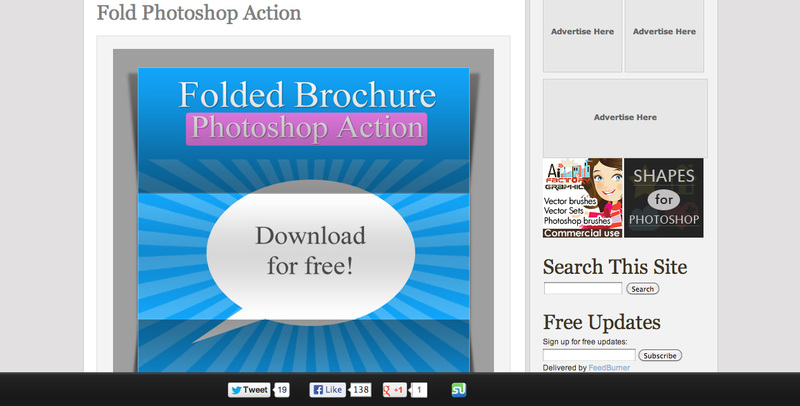 This is another simple Photoshop action that just ads a bit of style to what we be a normal graphic. Great for posters, flyers and any other type of print work. This is one of my favorites, mainly because it adds a bit of something else to what would normal just be a flat design. This is a great example of how one could present something differently. 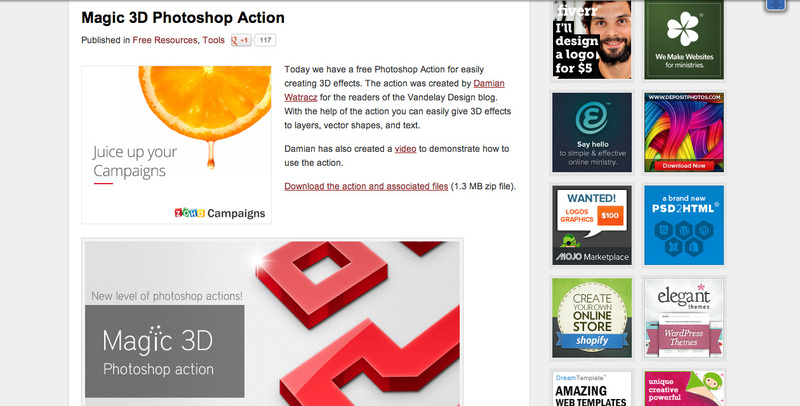 This PSD is also very editable. It’s often hard to find a realistic, professional way to show our brochures. Most times you lose a side of the brochure, but with this mock-up, you do not. It shows you how to set up your files and where to place them on this wooden background. 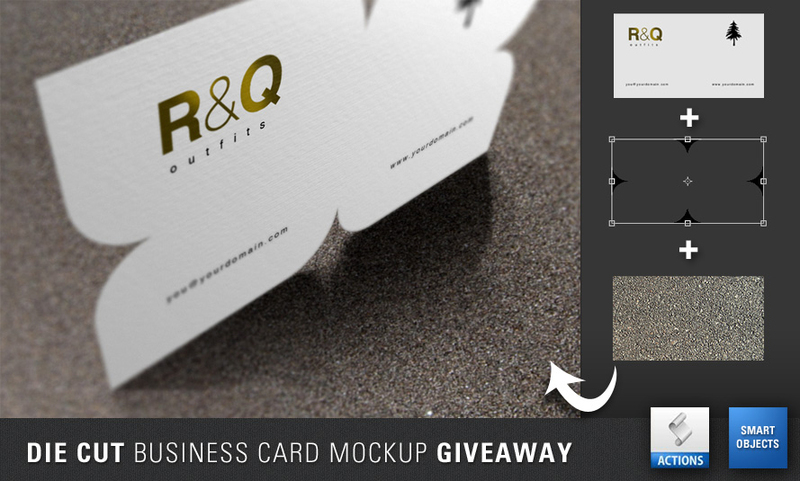 If all you’d like to do is feature your business cards photo-realistically, this is a great PSD for you. It’s also print-ready for creating more professional mock-ups for clients. We’ve talked about tri-fold and even bi-fold. Here we have a 4-panel brochure, that’s created by using a Photoshop Action. I found a PSD like this more than helpful for when you want to showcase all of your work in a portfolio. Often times, we don’t design and print every piece of corporate identity first, so this is a great way to show it off all at once. 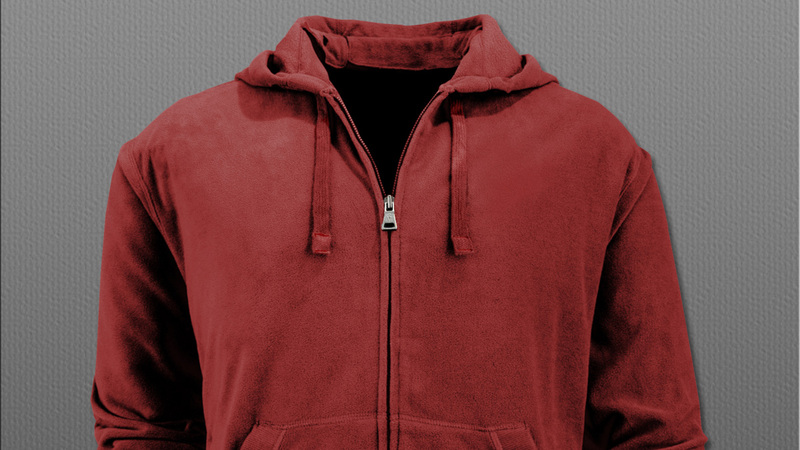 With this hoodie PSD, you’re able to customize colors and designs while keeping the highlights and shadows in the original. This is a must have for anyone creating designs for hoodies. Again, with this mock-up PSD we are able to customize our colors and keep our highlights and shadows to go with any design. 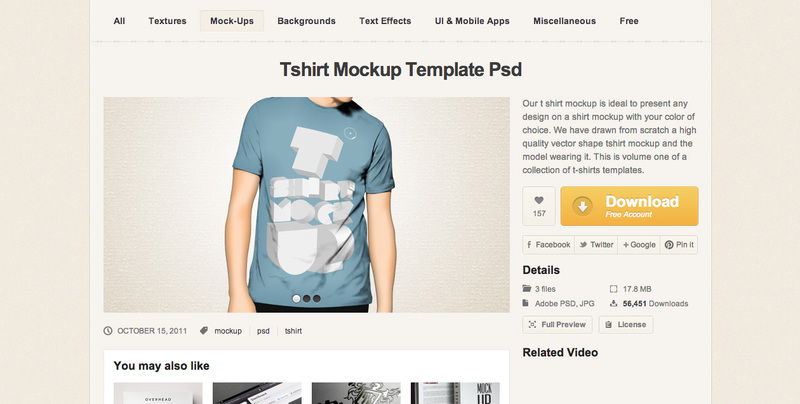 This is an extremely easy PSD to use to show off your shirt designs. The instructions are simple and easy to understand. Colors are easy to change and highlights and shadows stay in tact easily. V-Necks are my absolute favorite shirt to recommend to clients. They’re trendy without being too fancy, so when I’m ready to mock it up, I use this wonderful template. The colors are easy to change and it’s even easier to add the design. There aren’t a ton of mock-up templates for hats or caps. 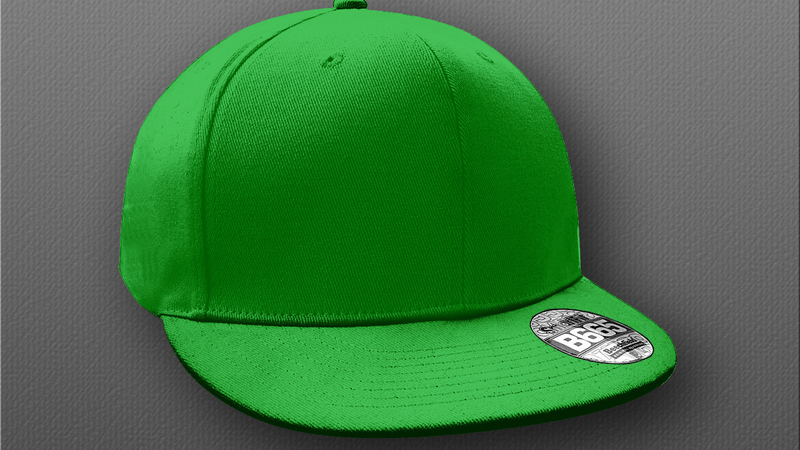 Fortunately, TheApparelGuy is hooking us up with this flat peak template for caps. You can change colors and even keep the cap sticker, if that’s your thing. What I like about this mock-up is there isn’t a whole person and it’s also not just a shirt there by itself. It’s a nice in between for those of us who want to show our shirts but don’t necessarily want to feature a model. Of course, you can see this template being used for any type of coffee can out there. I think there are many uses for this piece, and it’s even better as a scalable action. You may developing the brand design for a new line of chips, popcorn, pretzels or etc. This is the mock-up action for you. Well, we all know what this is for and how to use it. This coffee cup mock-up is great if you want to try new designs or if you need a realistic version of a brand already well known. 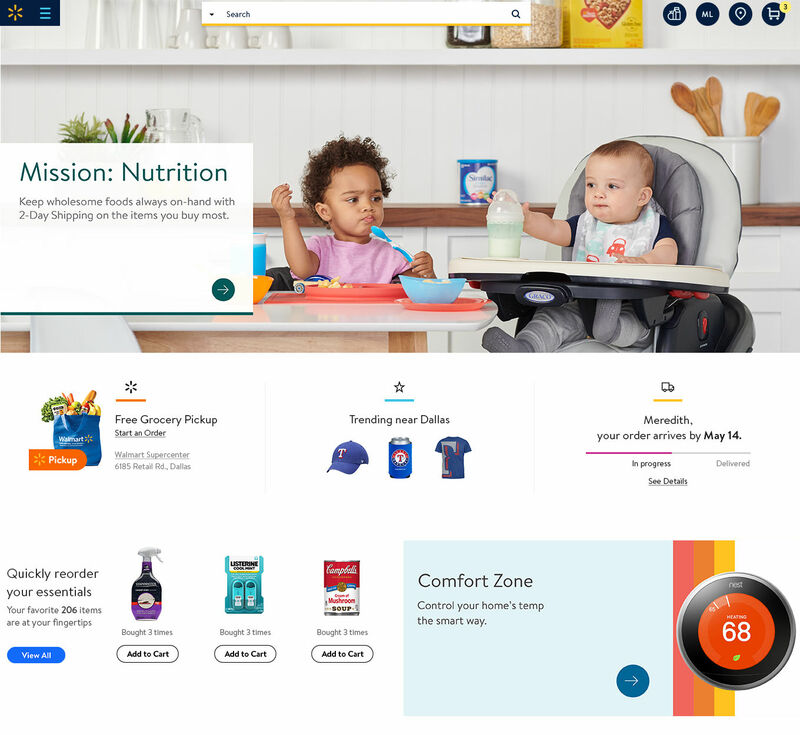 This page features an ice cream carton, two food bags, an two types of jars. This is great for your food packaging and can be scaled, as they’re vectors. Designers are becoming more and more creative when it comes to creating wine labels. They aren’t just regular rectangular stickers any more. 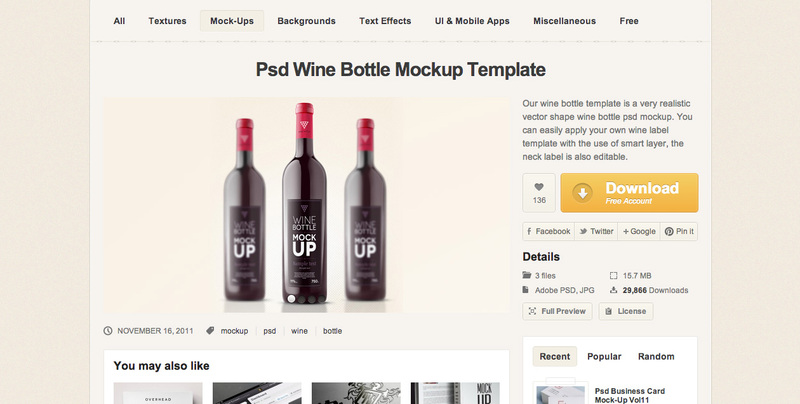 In order to get a good visual on them, here’s a great scalable mock-up for wine bottles. Perhaps you don’t want a black bottle for your wine. Or perhaps you find a PSD too hard to work with. This Photoshop action creates a vectored wine bottle for any of your uses. CD and DVD packaging is an extremely important part of print designing for some clients. Though this is a specialized version of CD/DVD packaging, it’s definitely worth having to offer a professional presentation and a new idea. You never know what you’ll get into designing as your career progresses. Your next project may just be a credit card design! Now, with this mock-up you’ll be more than prepared for that. 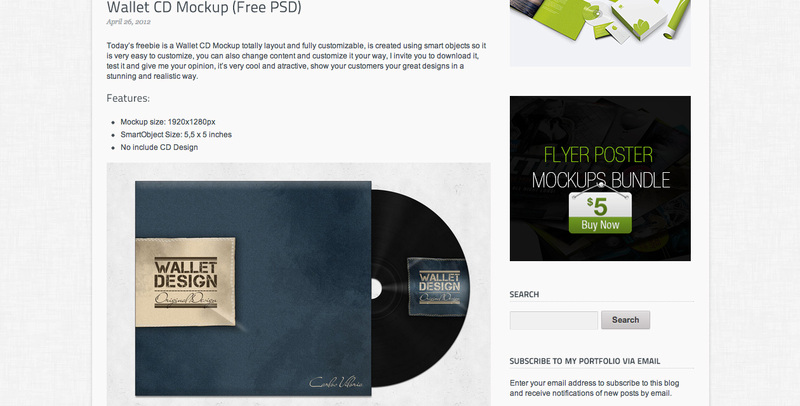 If you’d like a little more consistency between your mock-ups, this may be a great pack for you. It’s great for corporate/branding identifications and includes mock-ups for business cards, CD’s, clear cards, boxing and more. 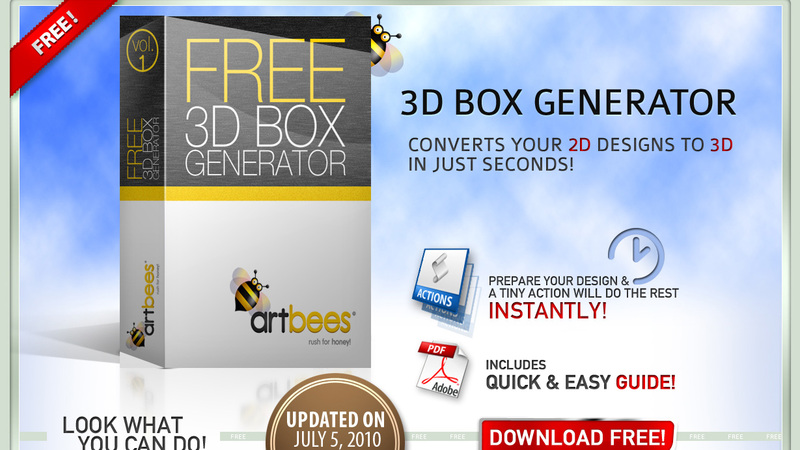 This Photoshop action can transform your designs into a 3D box in a matter of seconds. This is great for those of us creating a simple package for anything from food to software. 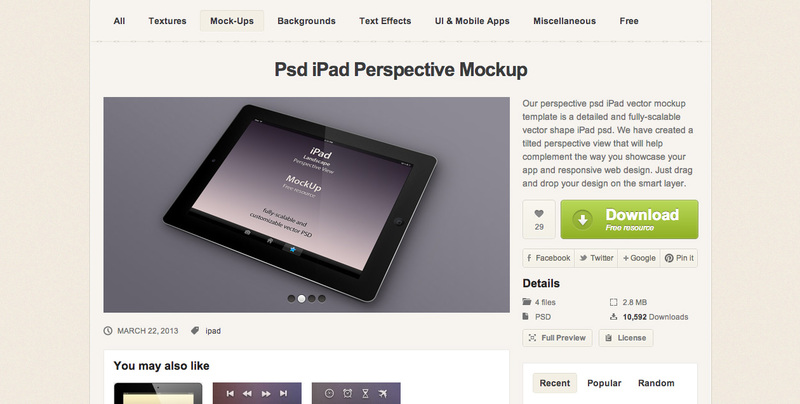 What are some of your favorite mock-up templates? Do you have any to share? Let us know in the comments.